The thing I most love about the finance world is the lots of options you get. If you've got some money you would like to earn good interest on, then you should be familiar with the options I am presenting you today. I don't think any investment house currently beats their low risk and barriers free rate of 14.18% (as of Sep 30, 2016). If you've got N50,000 or more that you want to earn an excellent return on, you should seriously consider putting it in Stanbic IBTC Money Market fund. No bank savings account interest rate come even half as close to it. This is where I have some of my own money. And it is sad that they are not delivering as good as Stanbic on their rate. Currently, the rate is 11.46%. 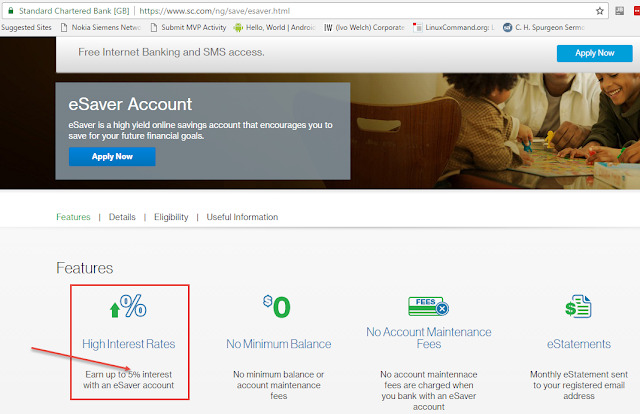 I am thinking of giving them a call on Monday to ask why their rate is almost 3% lower than Stanbic's. The only reason I have not moved my money from theirs to the Stanbic one is that (warning: this is very subjective) ARM customer's service is like heaven compared to Stanbic's hellish customer service. Again, this is my own experience and might be exact opposite for others. 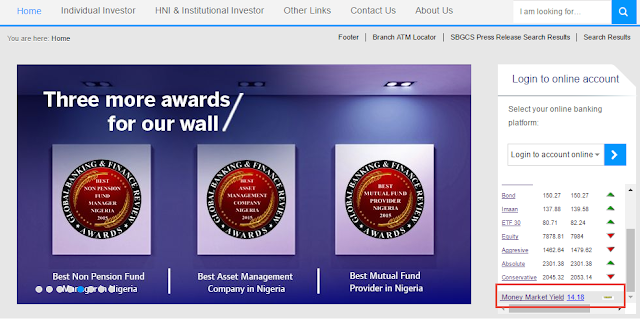 It is based on my experience running ARM Discovery fund vs Stanbic IBTC Nigerian Equity Fund for five years. It was so bad that I closed the Stanbic account and they still didn't close it. I use this for my emergency fund (to hold my four months living expense for use only when there's an emergency). The maximum interest rate you can get is 4% and only if you put at least N1 million. That is just slightly above one-quarter of what Stanbic money market fund pays you which you can start with just N50,000. 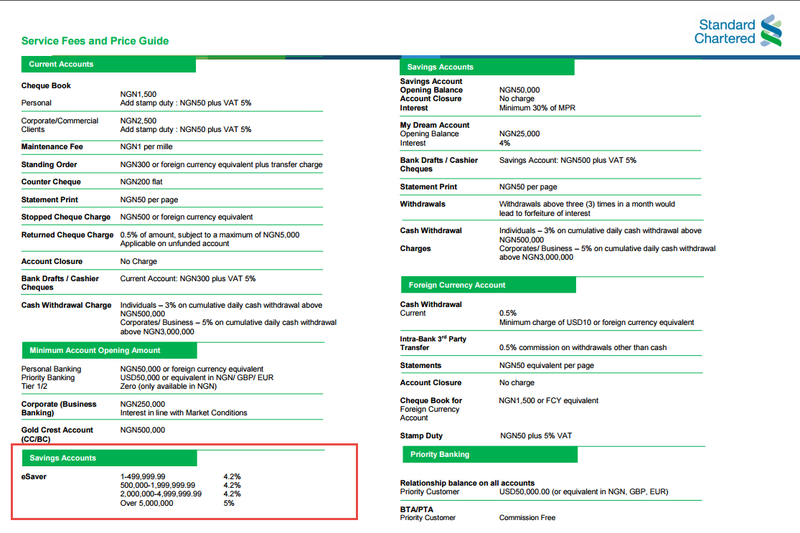 As far as banks go, I think Diamond and Standard Chartered Bank have the best interests for regular (retail) customers. You get a max interest rate of 5%. 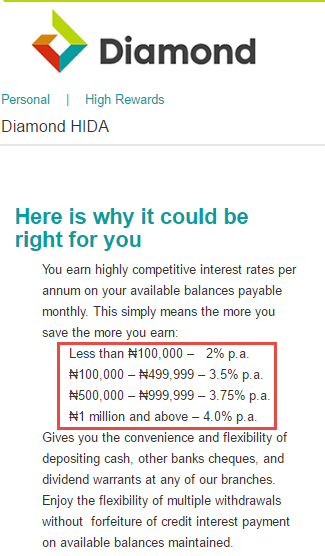 They are not very clear about the interest rates for different amount brackets like Diamond but the minimum opening balance is N50,000 and you can withdraw everything whenever you like (no minimum balance). 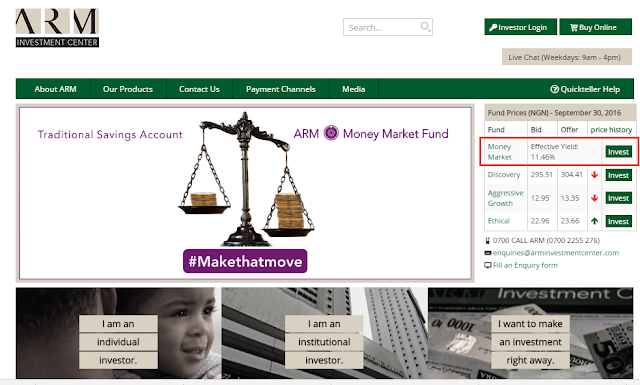 For me, I have the ARM Money Market to hold some money I might use next year. 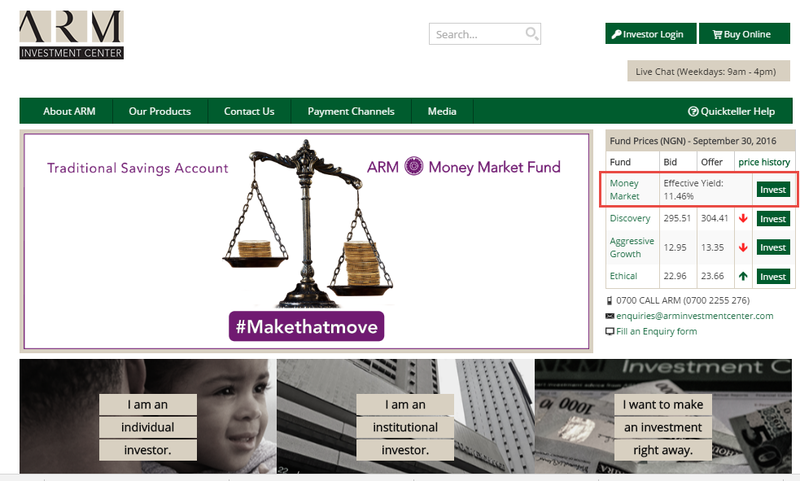 I have most of my investment in ARM Discovery Fund (stocks market and real estate majorly). I have my emergency fund in Diamond HIDA. And lastly, I have my dollar earnings from online course sales, freelancing and book sales in a US stock investment account (S&P index fund and Energy ETF). And these are not random or not well thought out, they are the result of my investment strategy. What I am saying is that when you think about these options, don't have a one-of-the-above mindset. In the end you will find yourself combining many options to achieve a good investment strategy. You've given me the impetus I need to finally pursue Stanbic. So far, I have not had any 'hellish' experience with them...partly because I have a friend inside that does the hard tasks for me. I think I've delayed long enough. Thanks a lot for the post Mike. Cool! You're most welcome, sir! Thank you Mike, I your article is right on point. 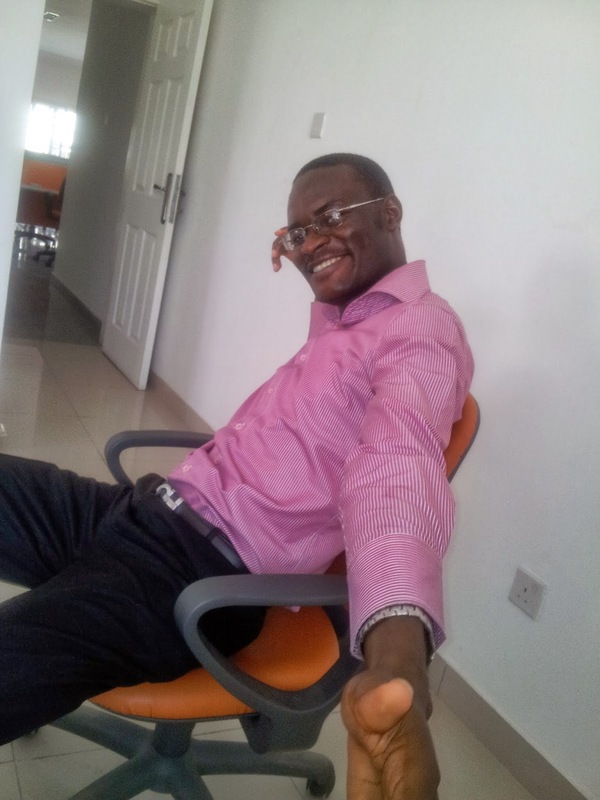 I am considering Stanbic, I don't have a background in social science so I tried to visit a nearby Stanbic to make more inquiry, unfortunately the officer is not able to explain how it works for a newbie like. I have some spare cash I can invest but I need someone who can educate me properly on how it works. That is one recurring problem I face with those investment officers or customer support. You find out that they don't seem to know very well the very things they are meant to advise you on.